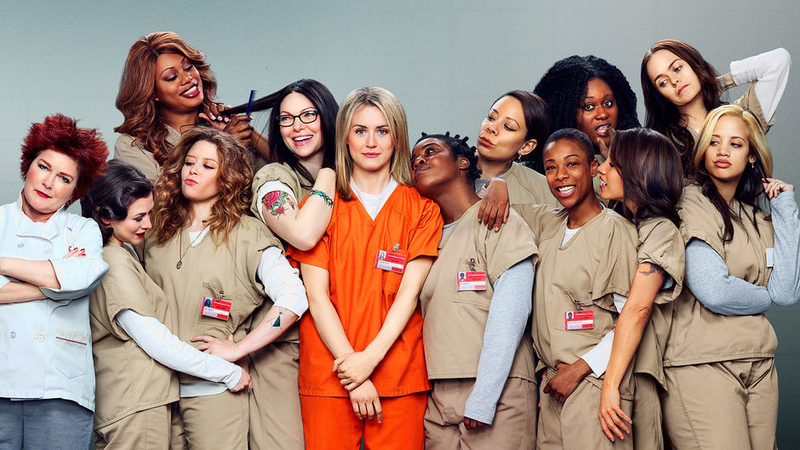 ‘Orange Is The New Black’ Season 3 Trailer Is Exciting!!! As the TV world gears up to kick off a new season, the networks give us just enough of a tease to keep us on the hook and ensure we’re tuned in when the show premieres. This tease usually comes in the form of a trailer and ‘Orange Is The New Black‘ did not disappoint! Netflix is still the exclusive provider for the prison series and it will return for season 3 on June 12. The inmates carry on with business as usual. We see glimpses of characters we love and those we love to hate, plus a few new faces. There’s no telling what will happen this season but to quote Red from the clip “The world is better in black and white. And Red.” She’s so right and I can’t wait for the premiere because I know I’ll binge watch the season in a day, two days if I pace myself. ‘Unbreakable Kimmy Schmidt’ Has a Season 3 Trailer! Check Out The Trailer For Season 2 of ‘The Unbreakable Kimmy Schmidt’!!! This entry was posted on Thursday, April 9th, 2015 at 3:28 pm	and is filed under News, Television. You can follow any responses to this entry through the RSS 2.0 feed. You can skip to the end and leave a response. Pinging is currently not allowed. « ‘True Detective’ Fans Get Ready For Season 2!! !